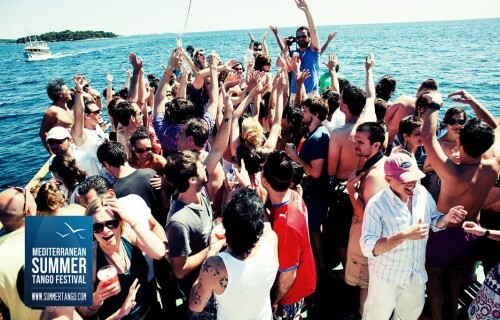 Even though there is an unwritten rule that “What happens on The Boat, stays on The Boat” stories of The MSTF Boat Trip have traveled far and wide. 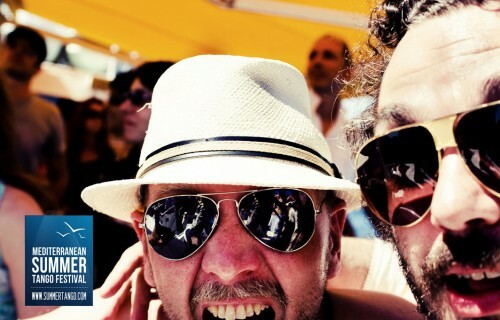 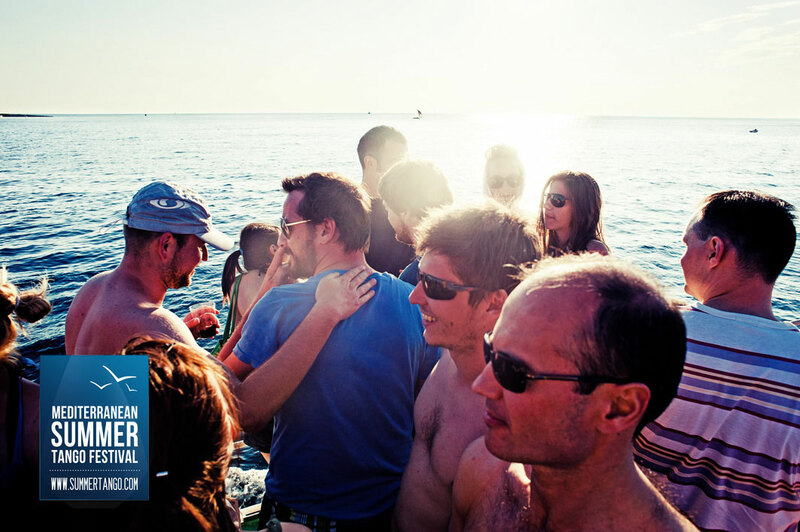 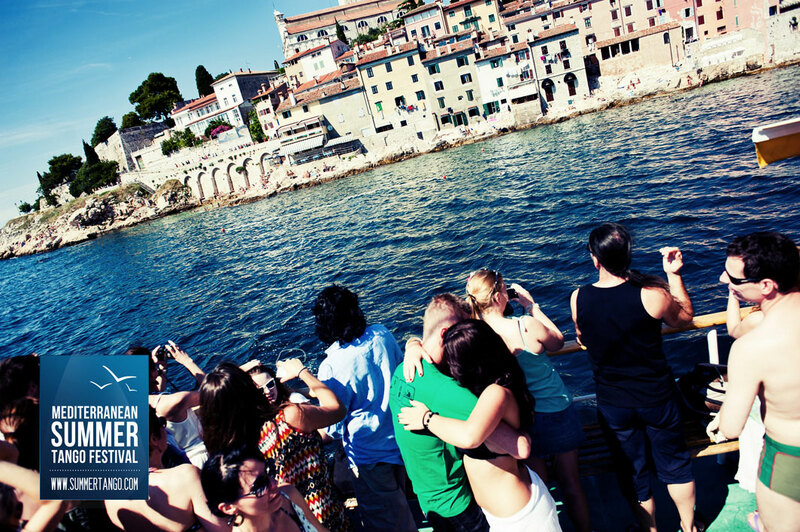 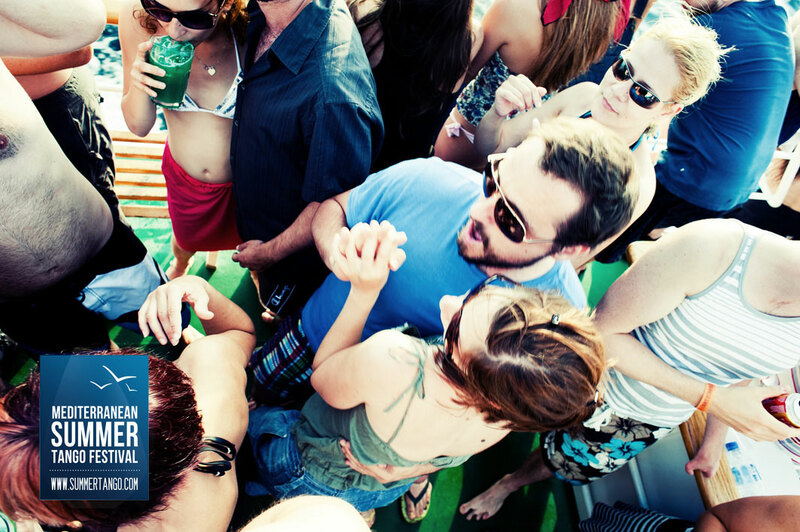 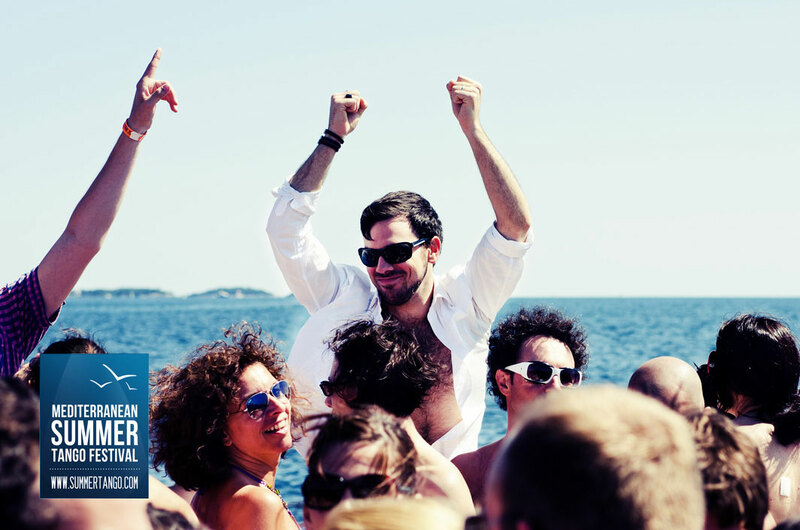 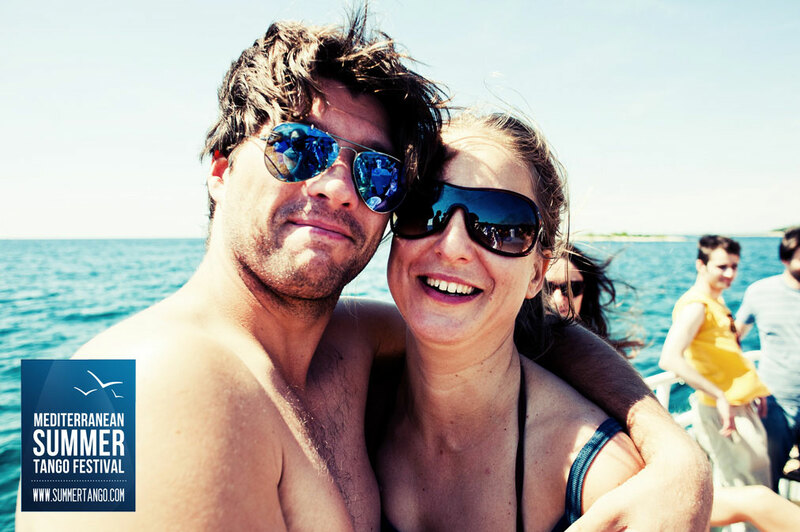 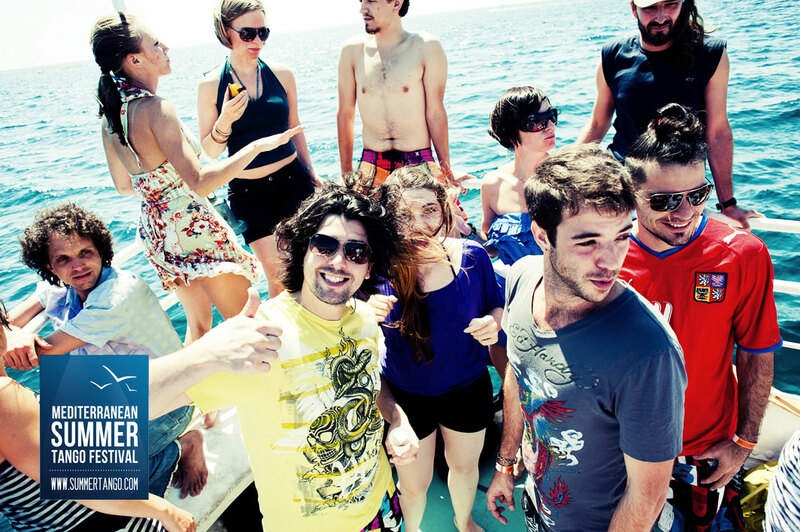 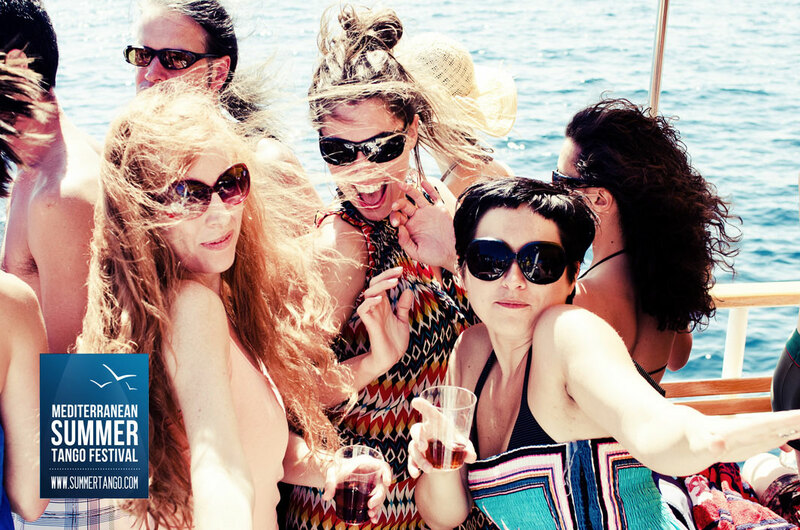 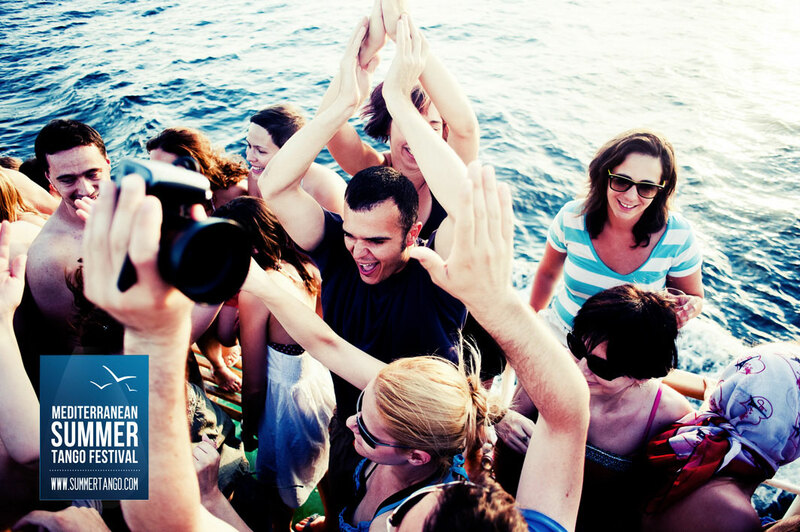 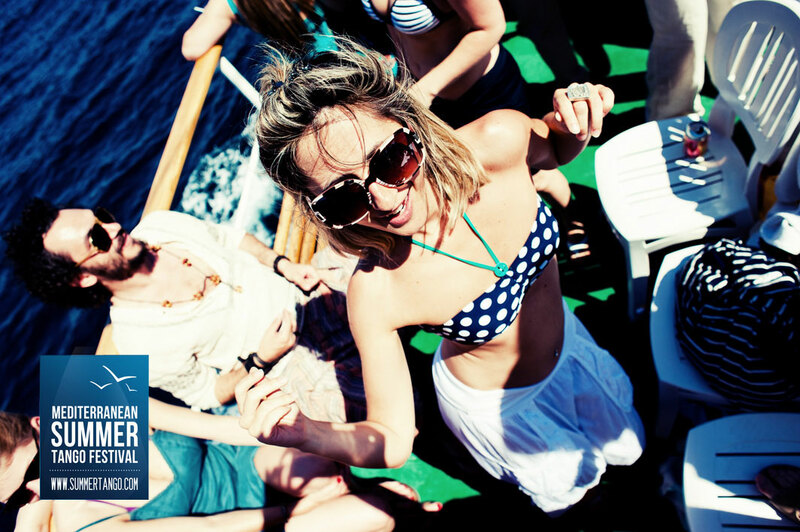 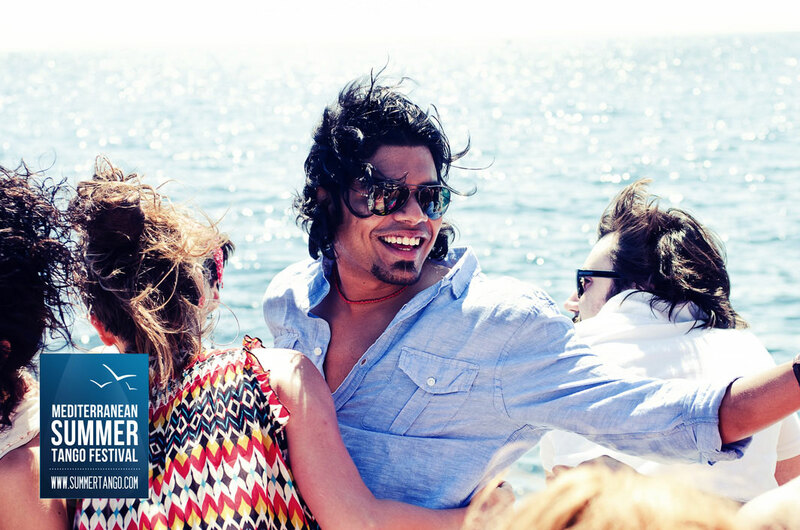 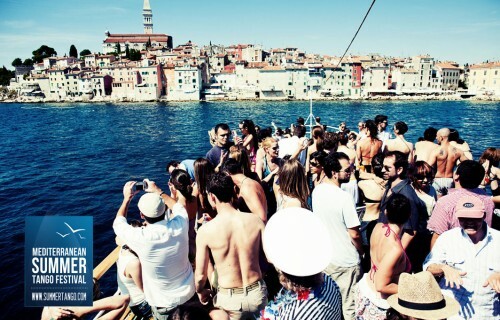 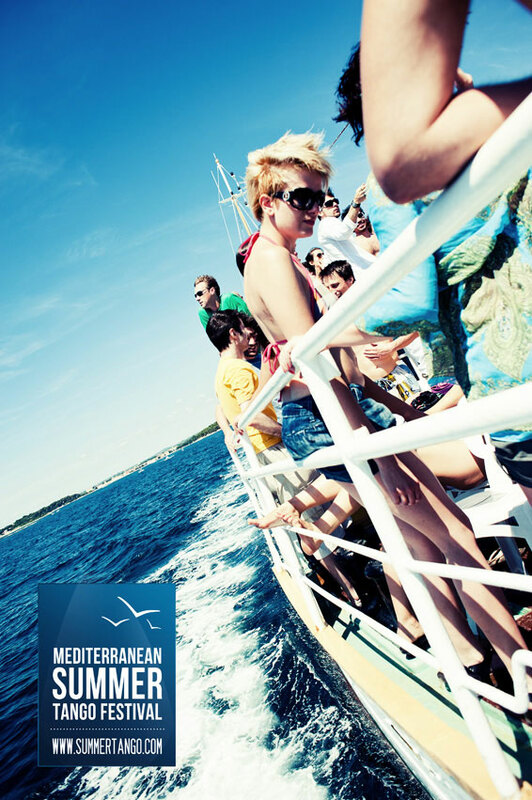 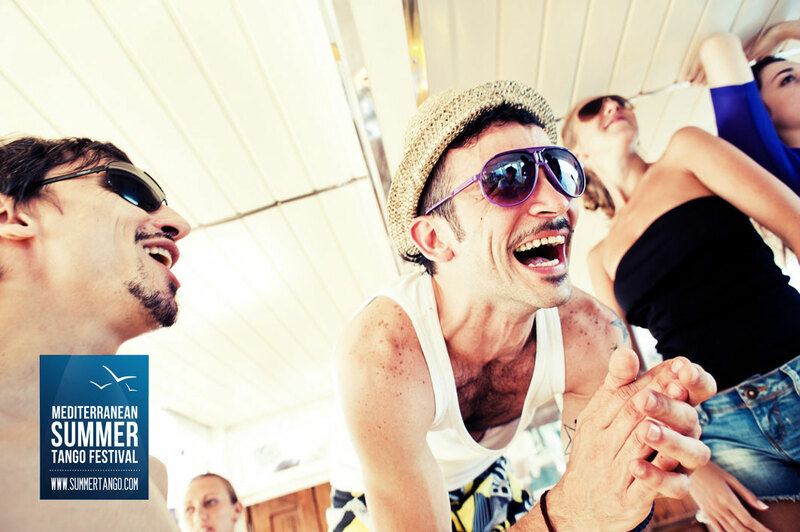 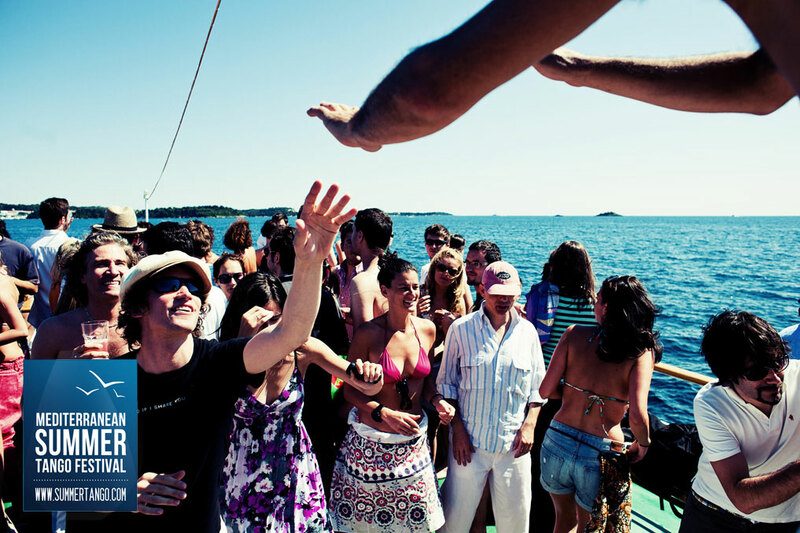 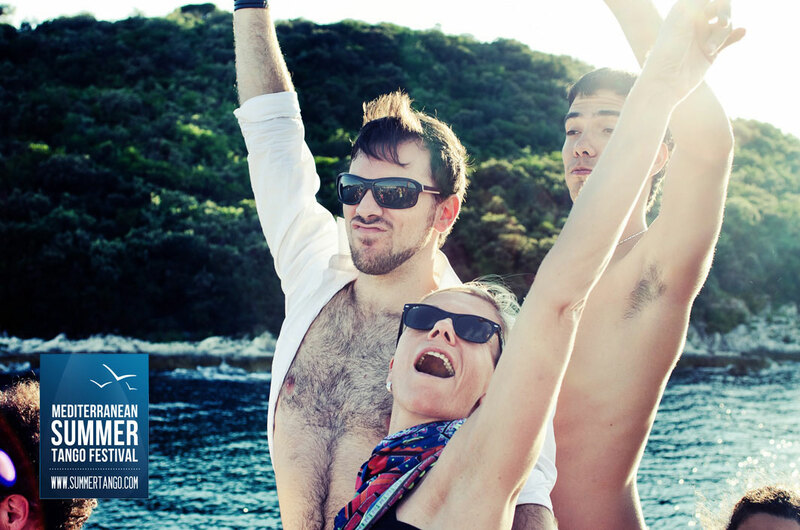 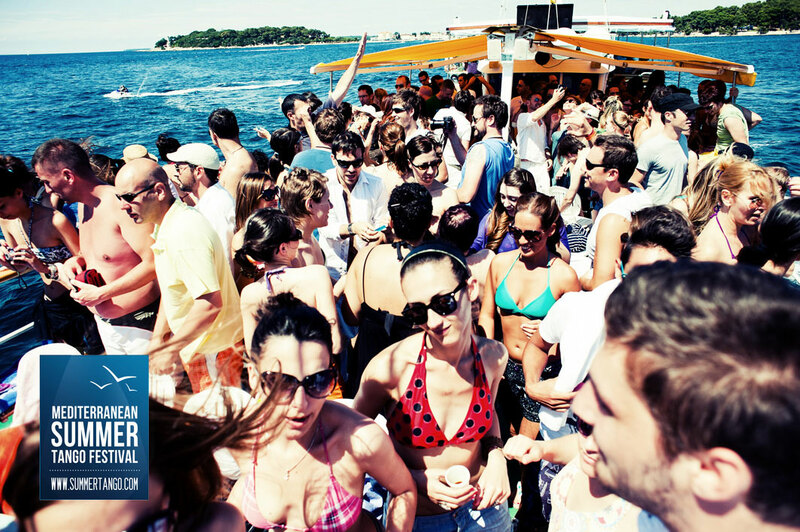 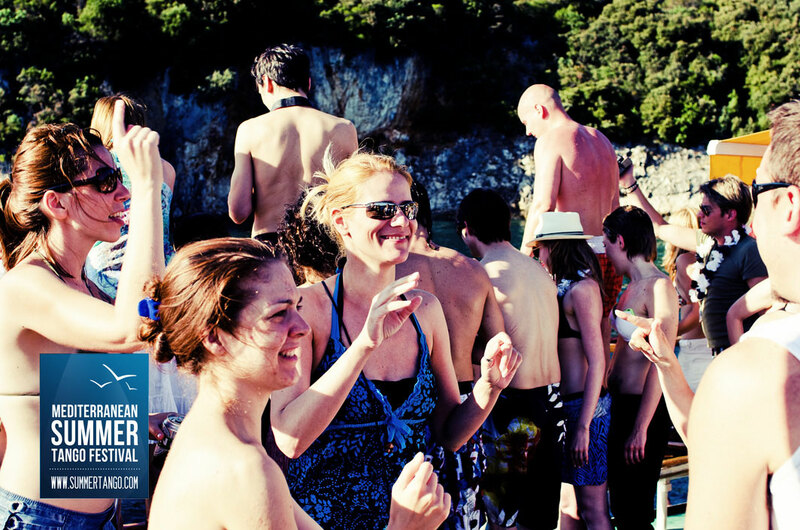 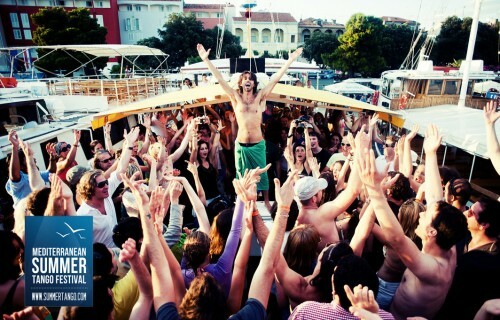 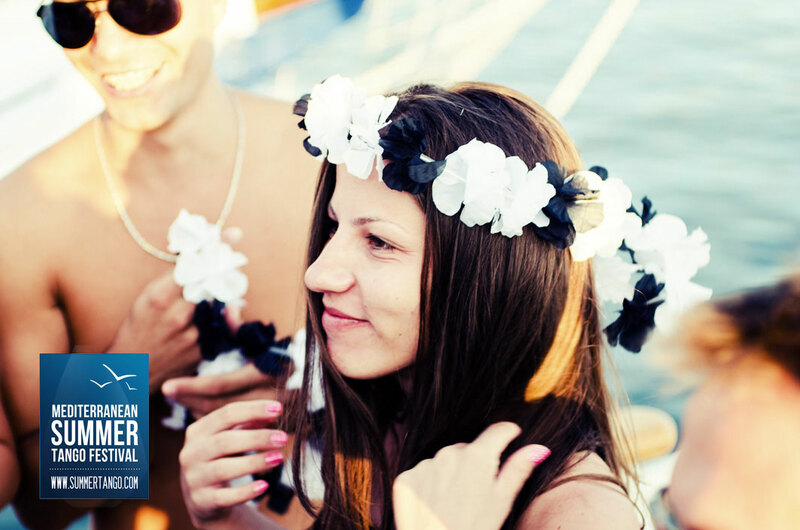 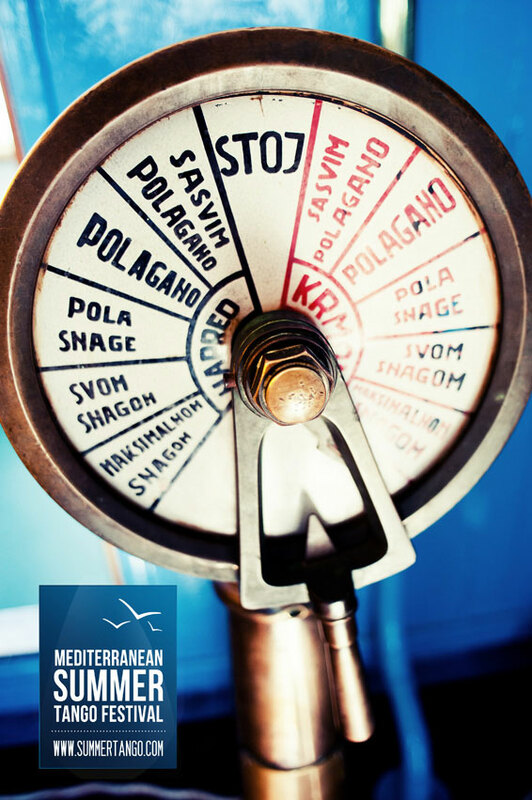 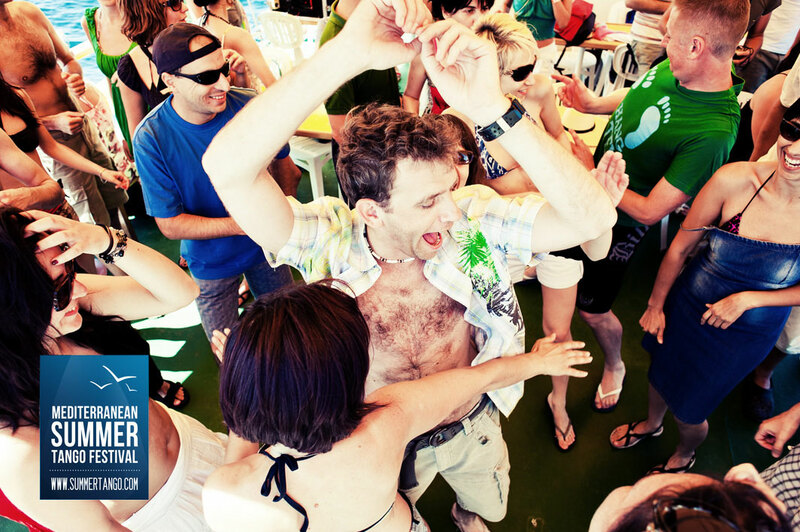 Sold-out and overbooked every year, for most, The Boat Trip is the crown jewel of the tango festival in Poreč. 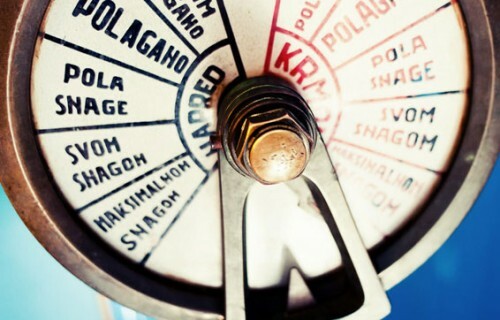 Yet, there is no tango to be heard. 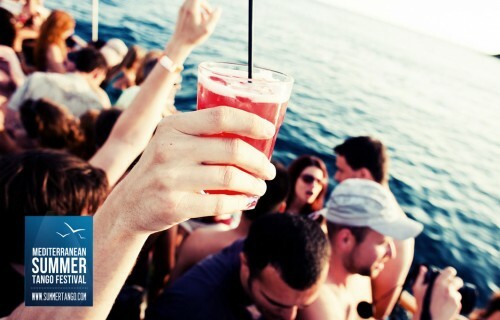 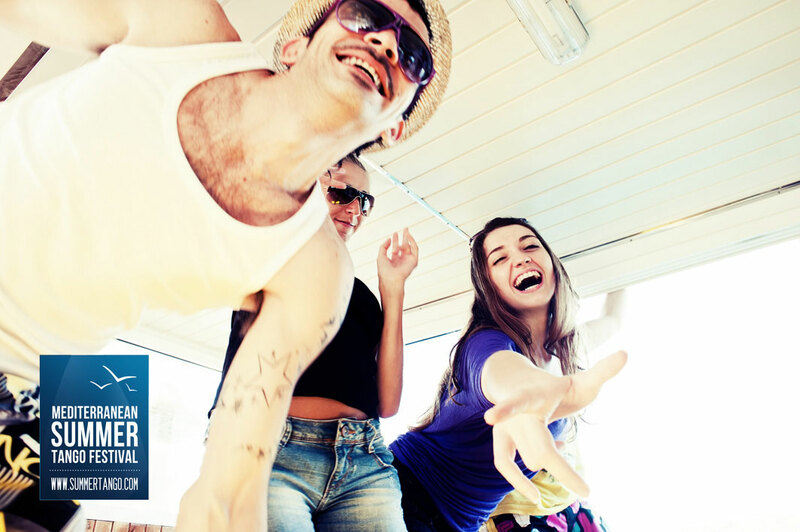 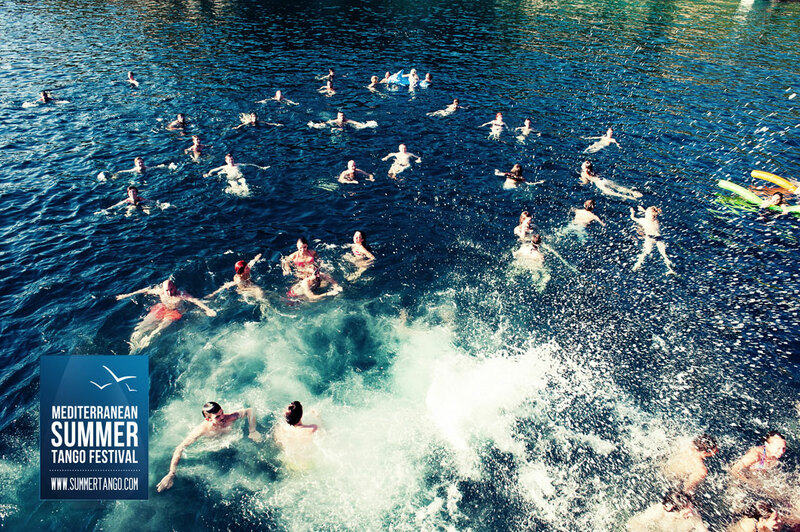 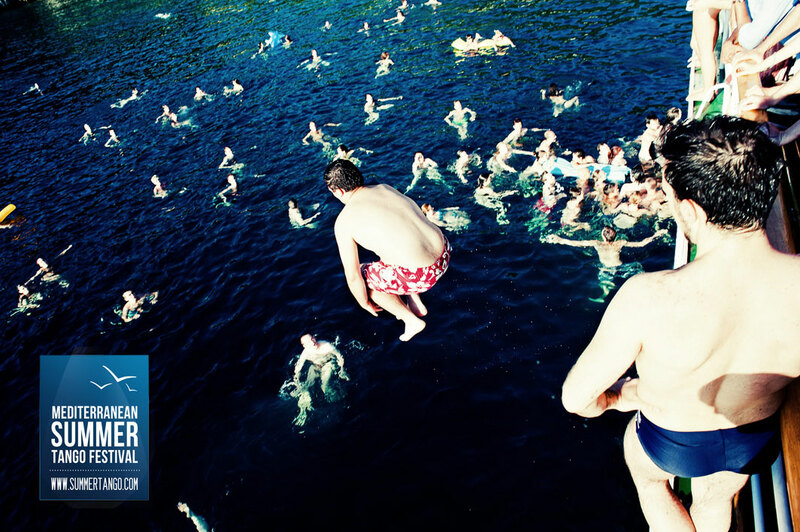 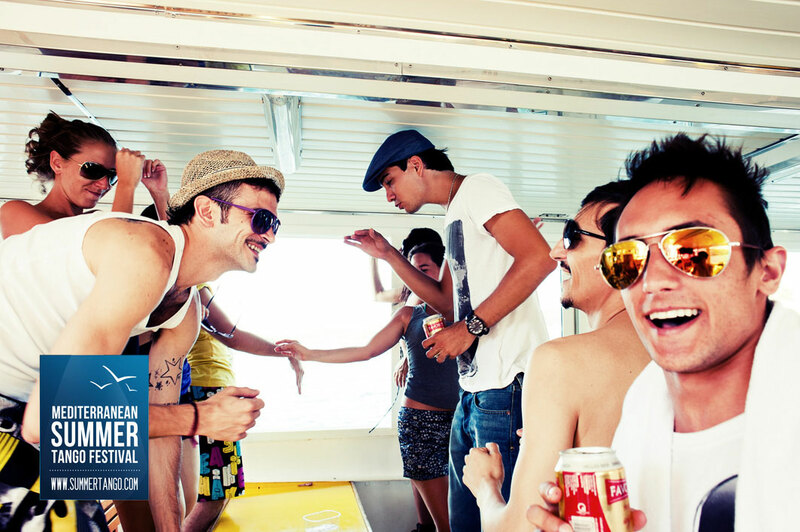 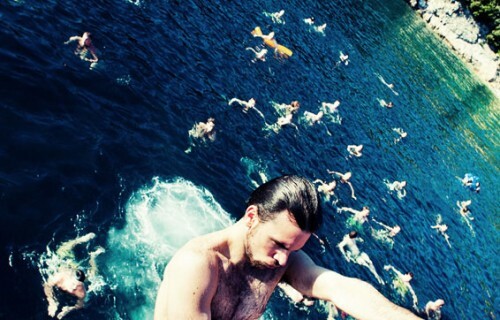 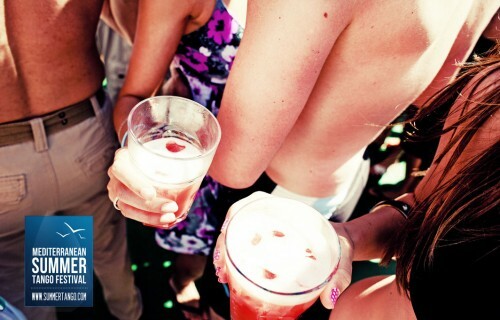 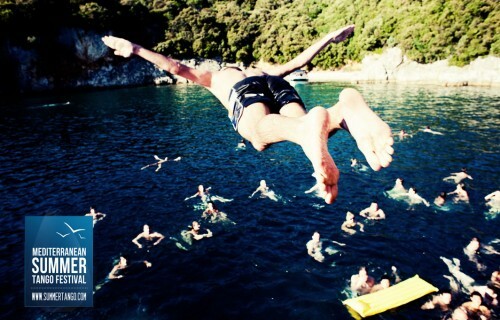 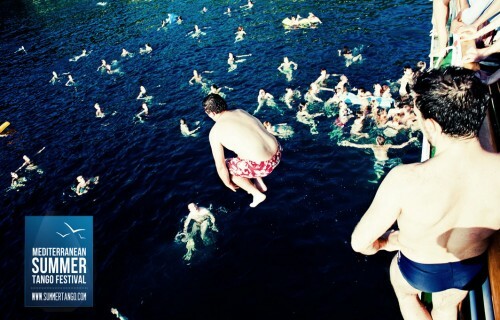 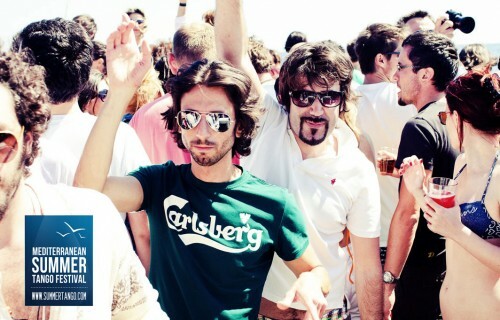 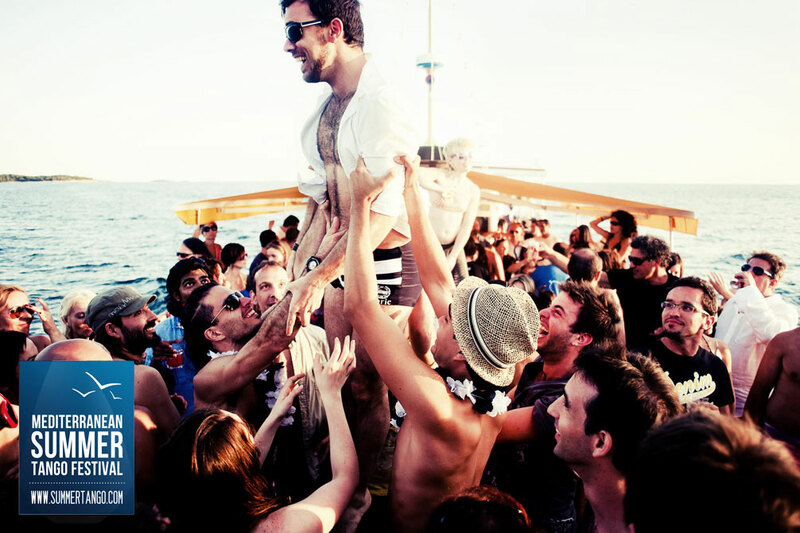 What started as a Sunday chill-out idea at the sea with food and visiting nearby tourist attractions, became a full-on party craziness that pretty much mesmerises all of its participants. 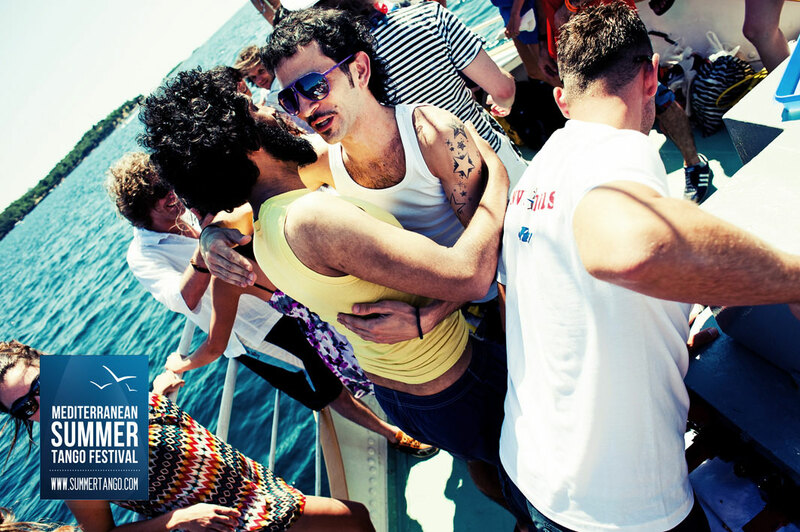 You will notice them wandering aimlessly during the evening milonga on Sunday. 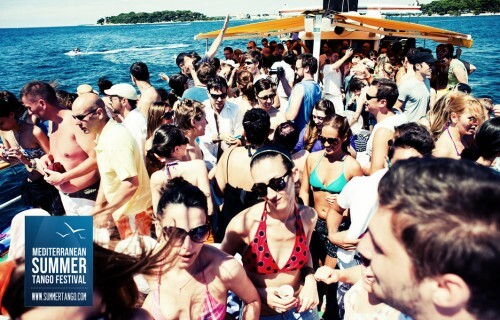 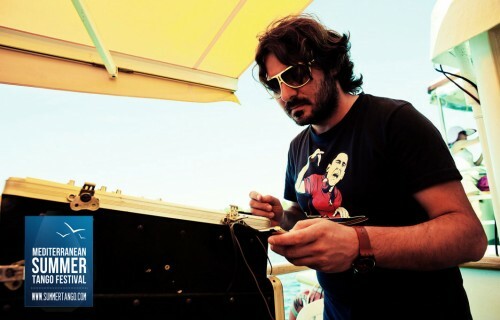 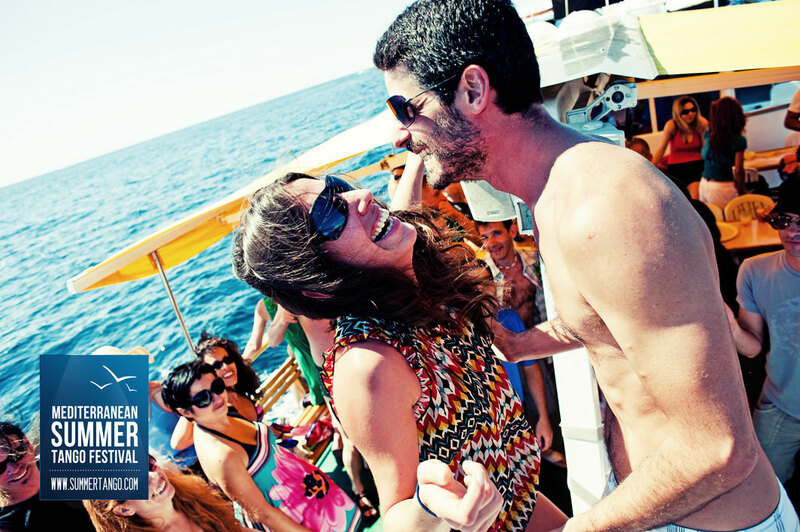 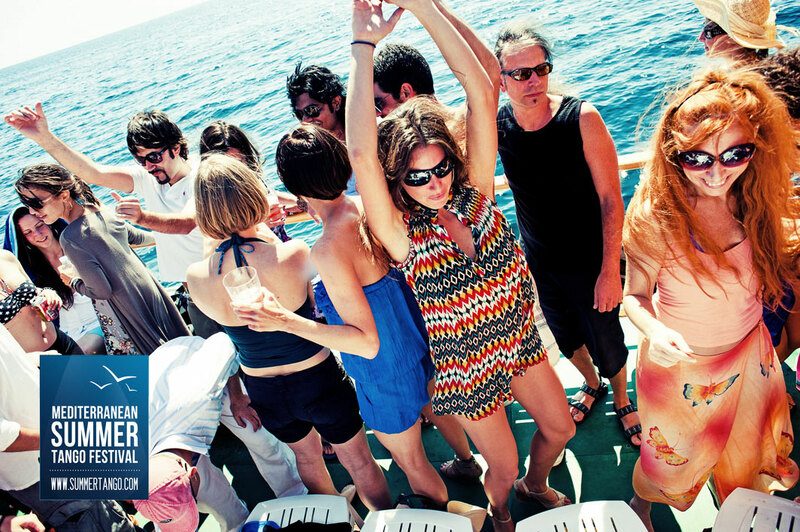 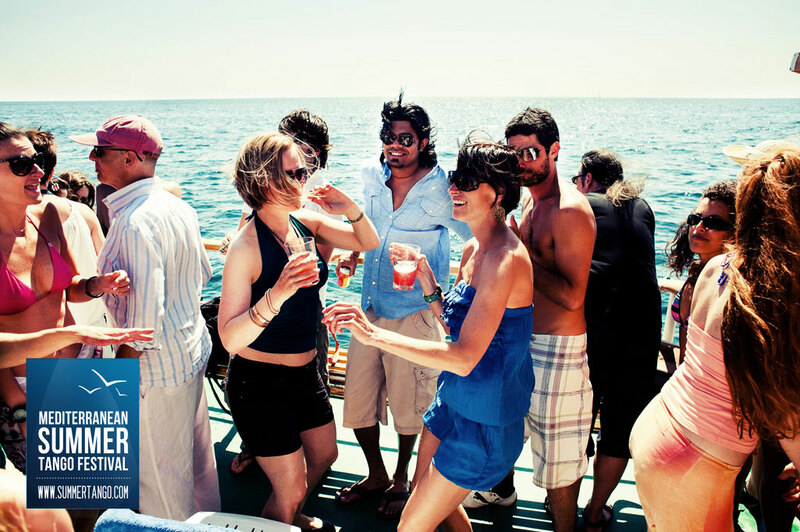 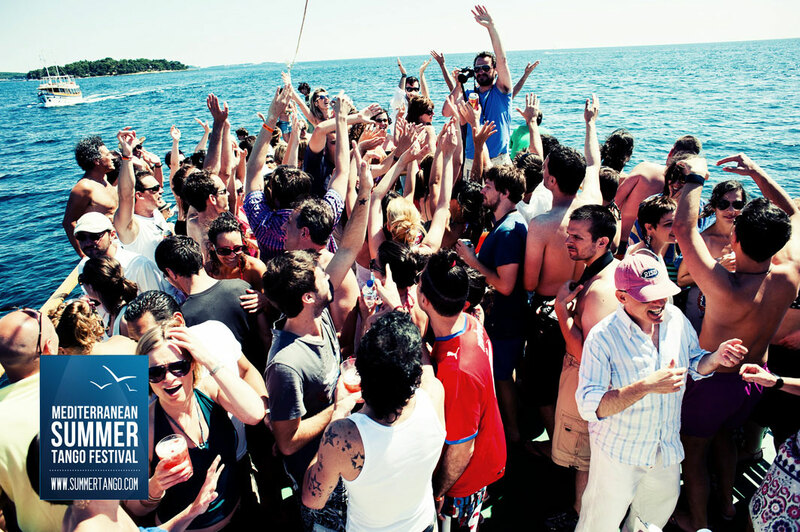 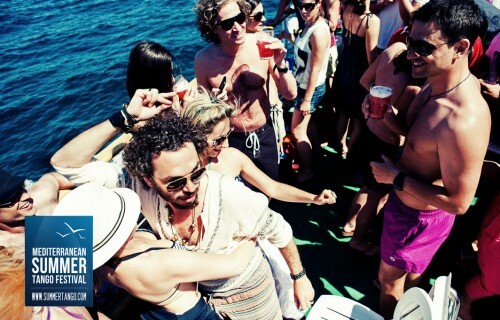 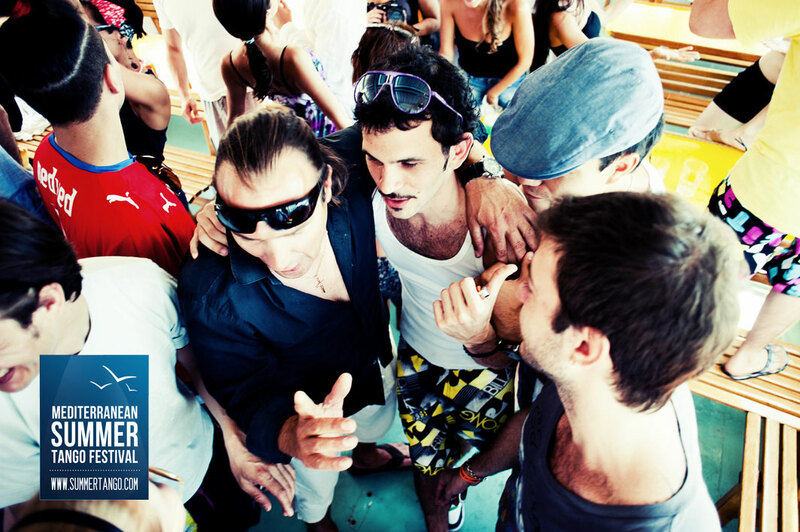 6 hours of disco music, crowded dance floor/boat deck, gallons of cocktails, jumping in the water and than dancing some more seems to be a perfect combination. 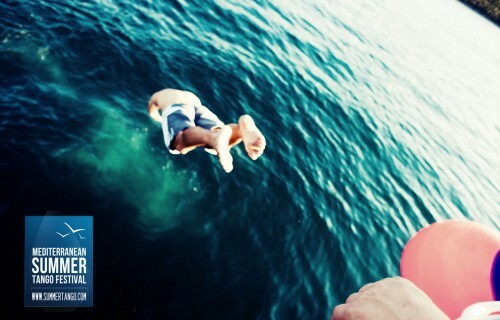 If you still haven’t tried it, you simply must! 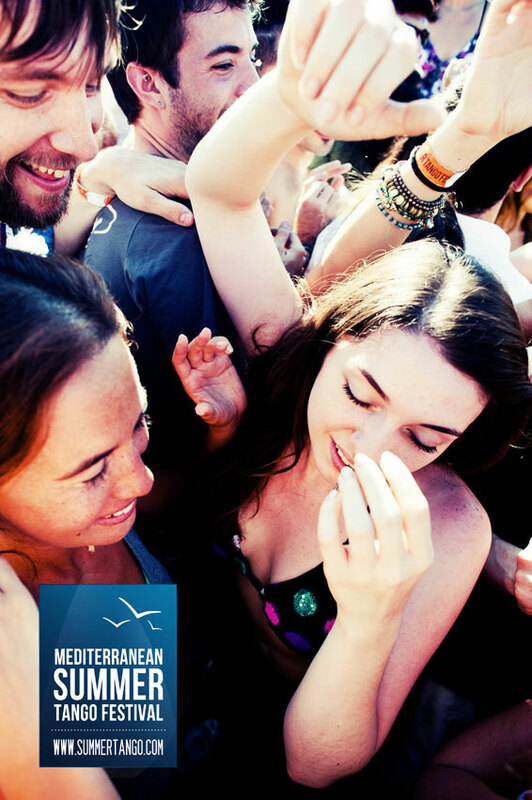 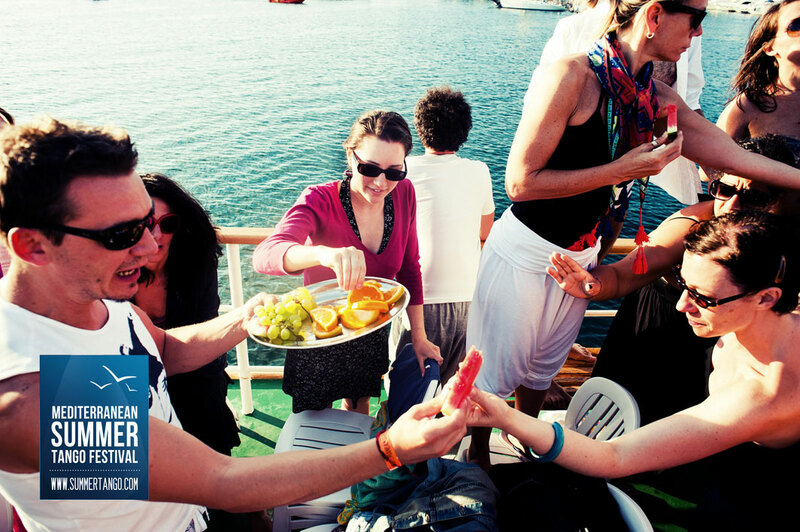 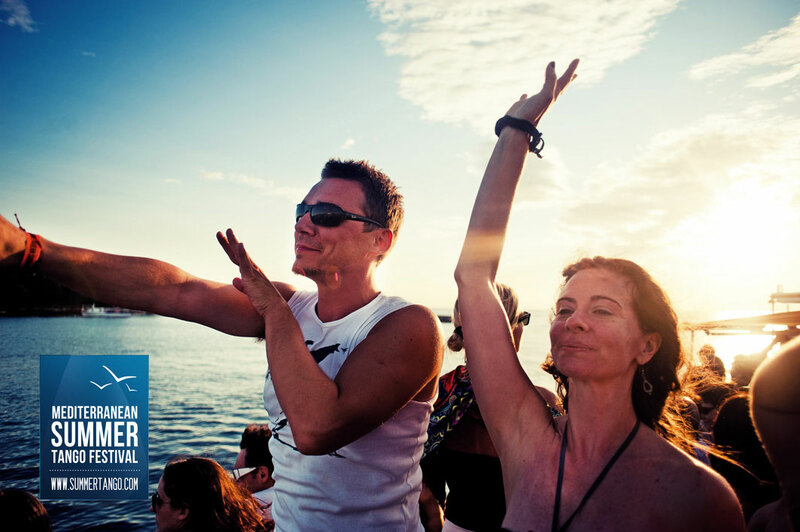 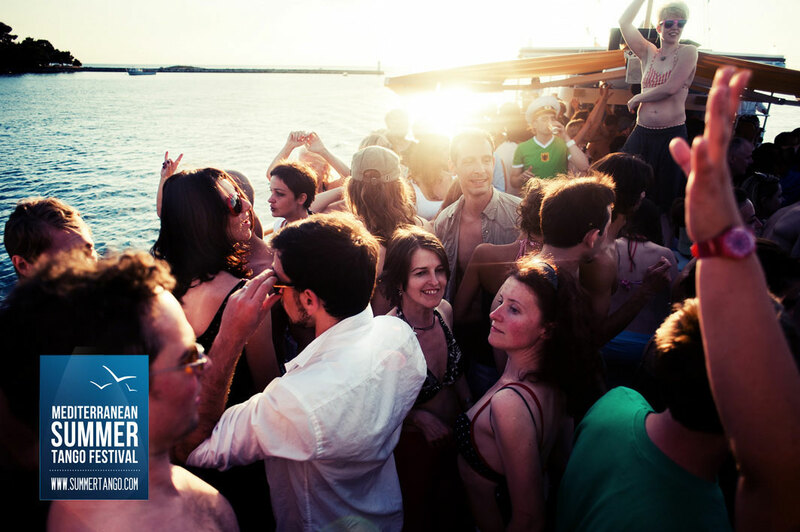 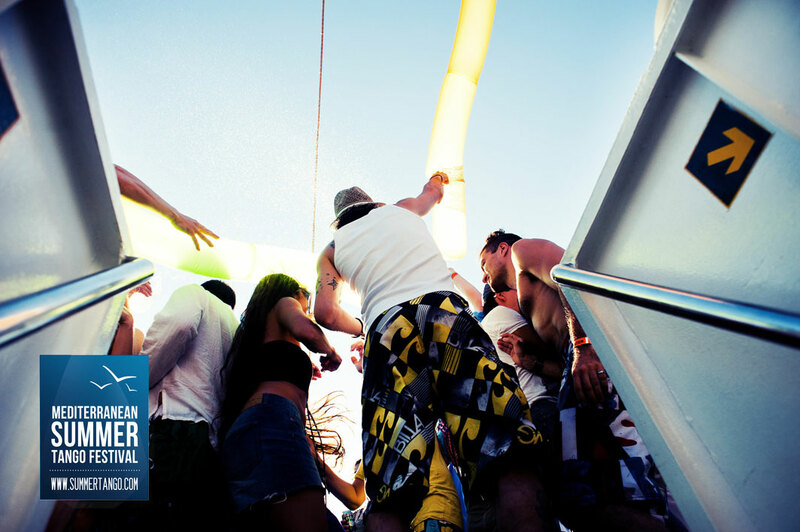 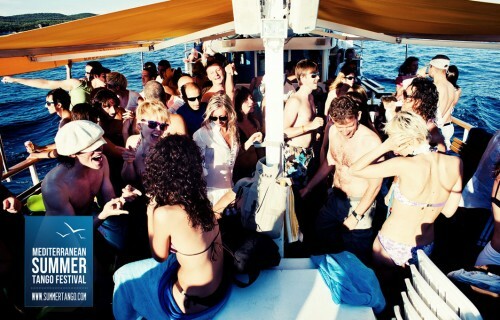 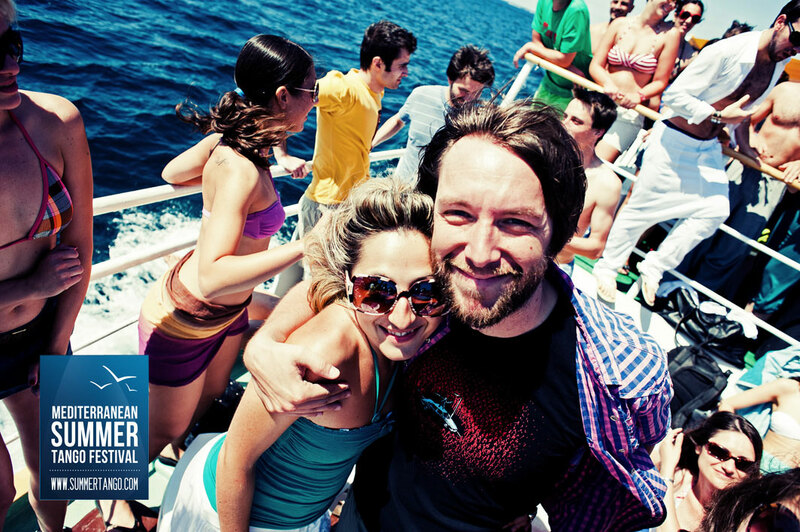 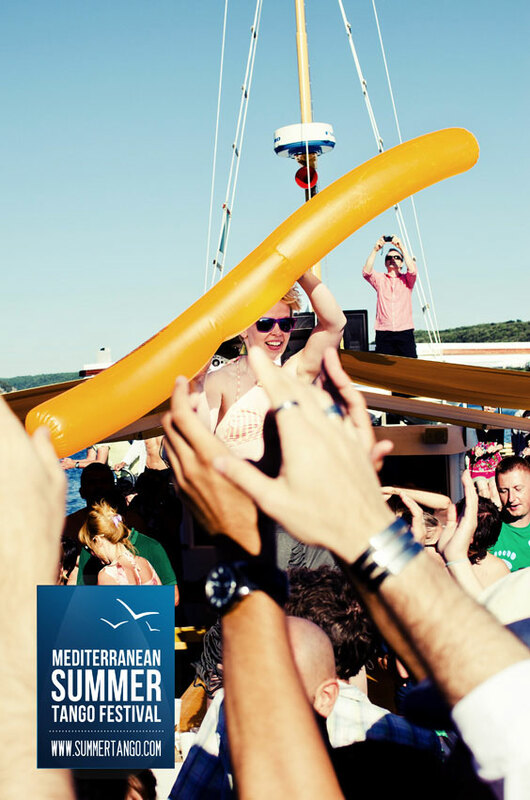 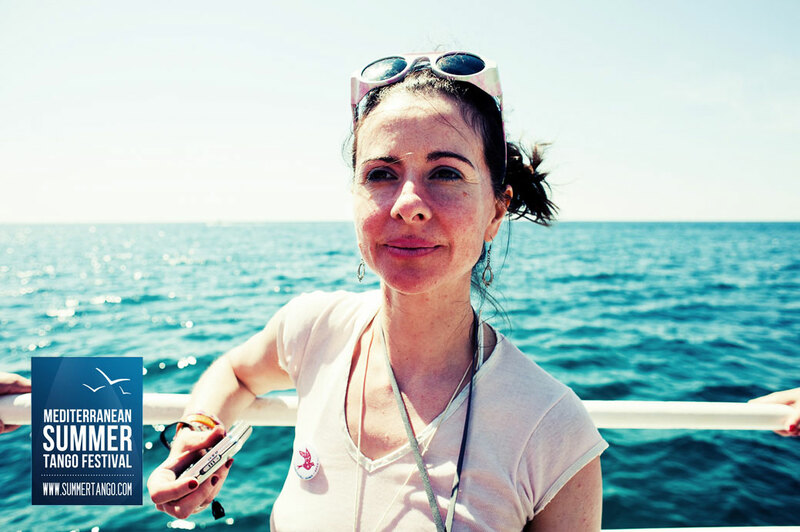 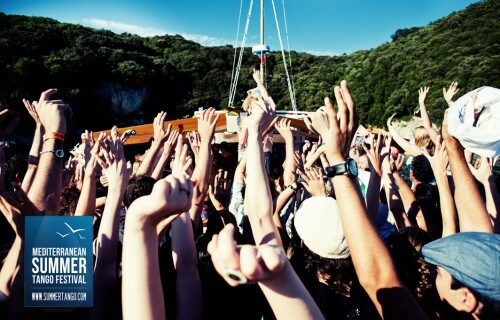 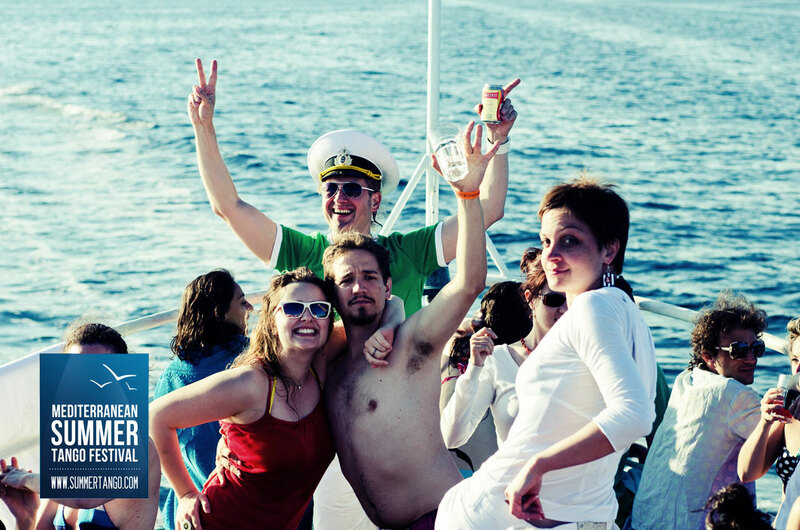 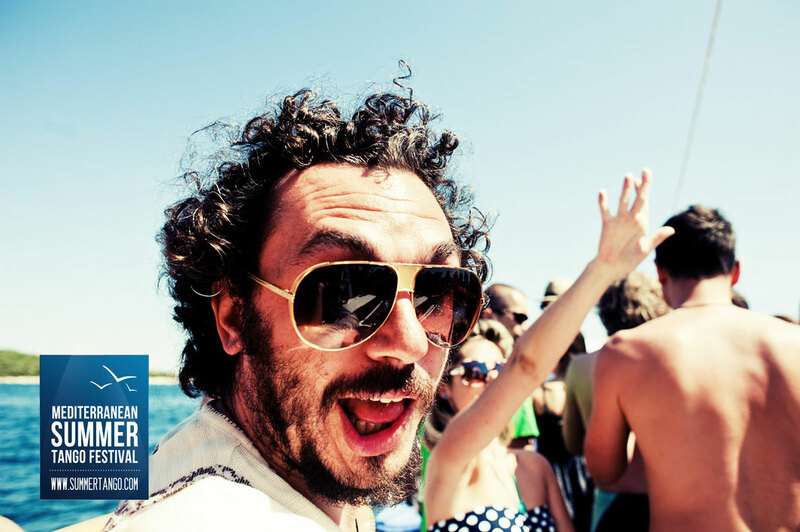 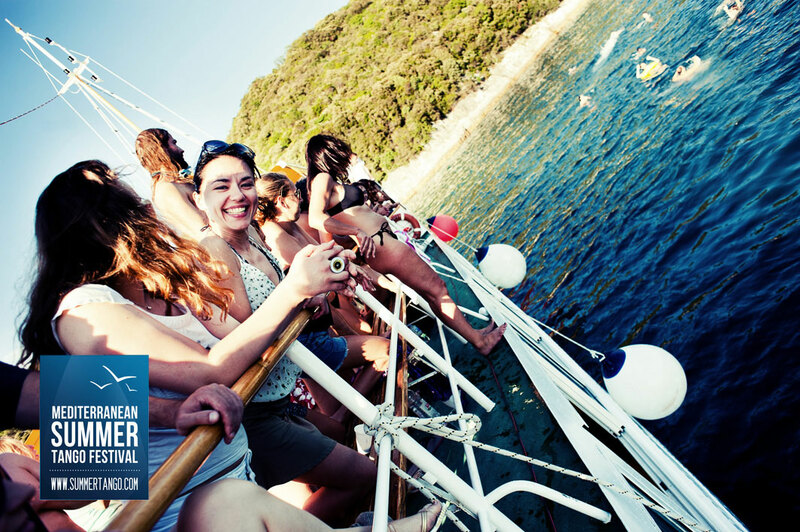 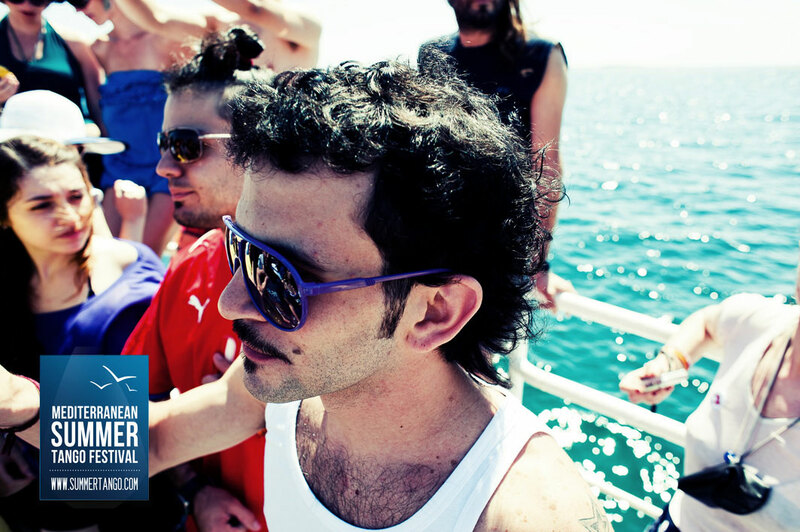 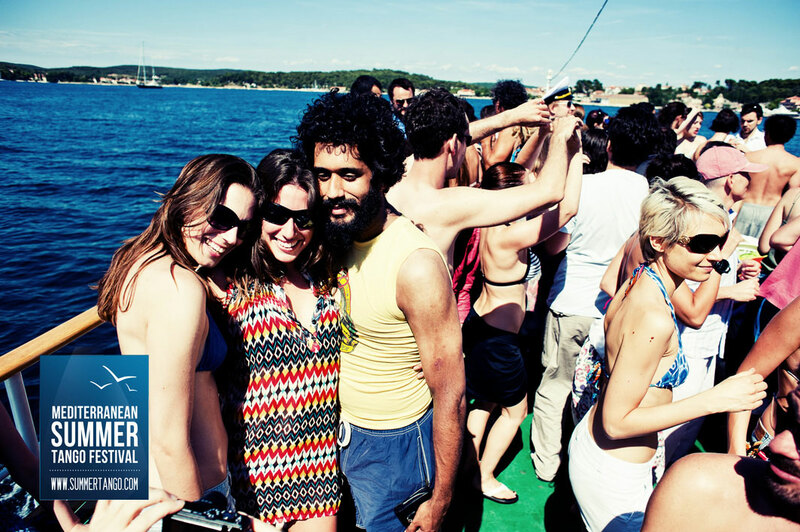 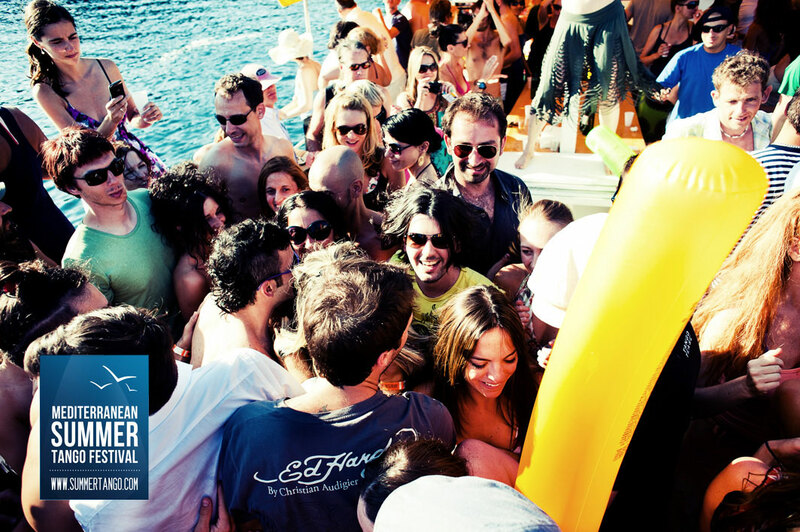 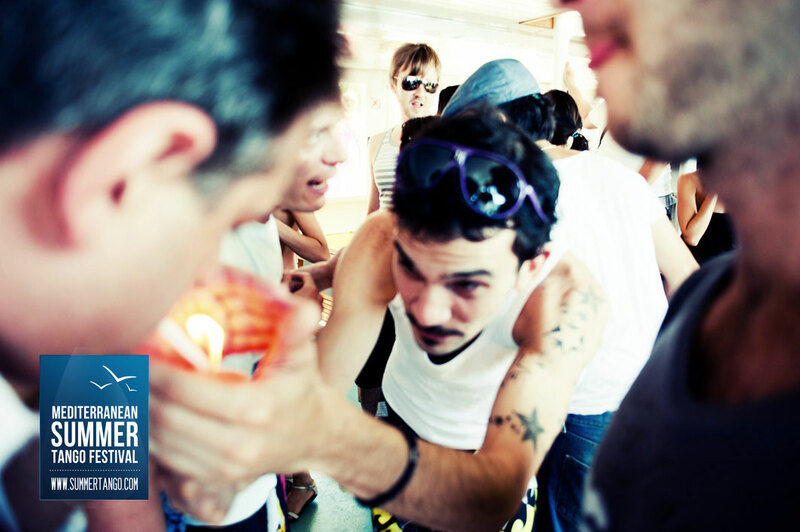 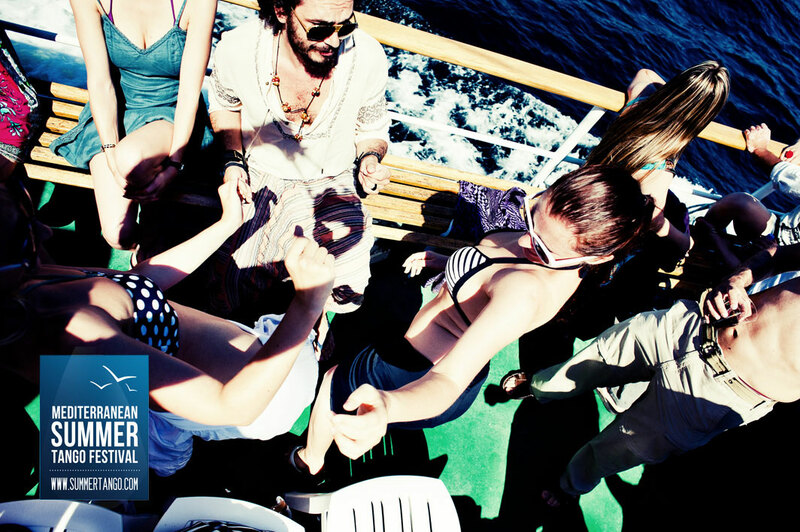 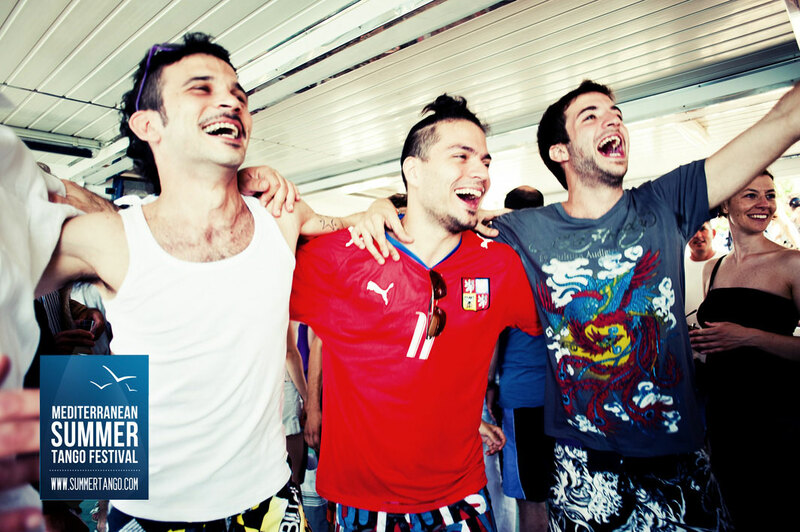 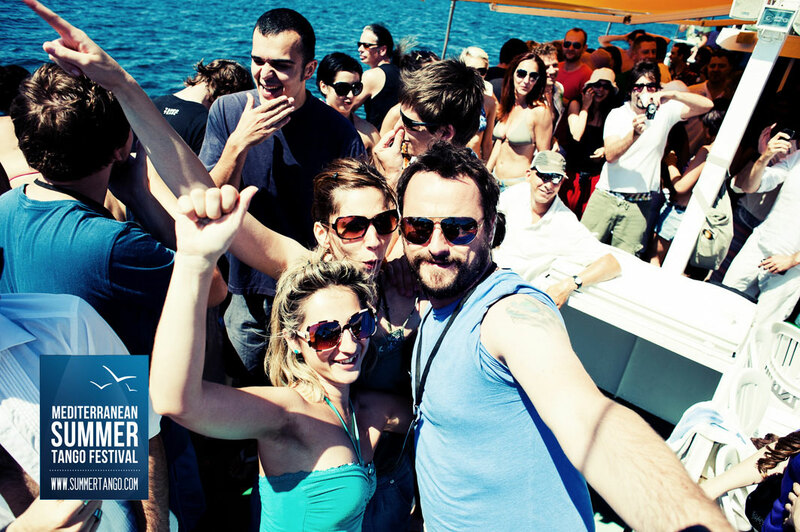 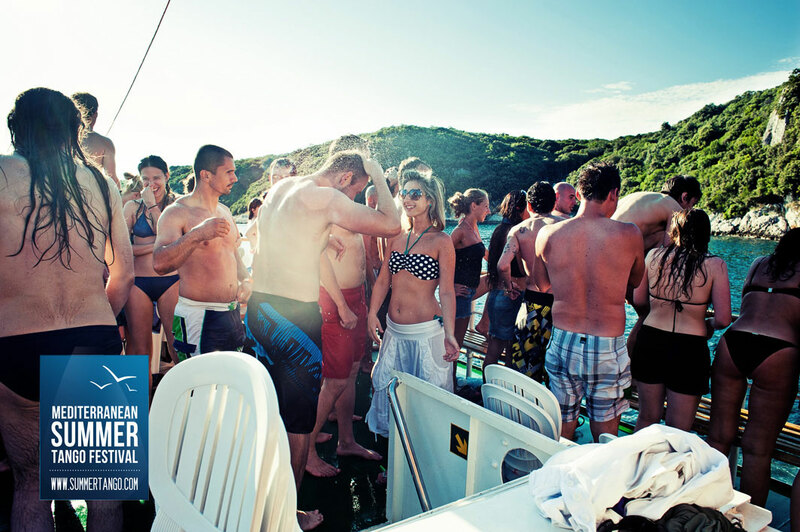 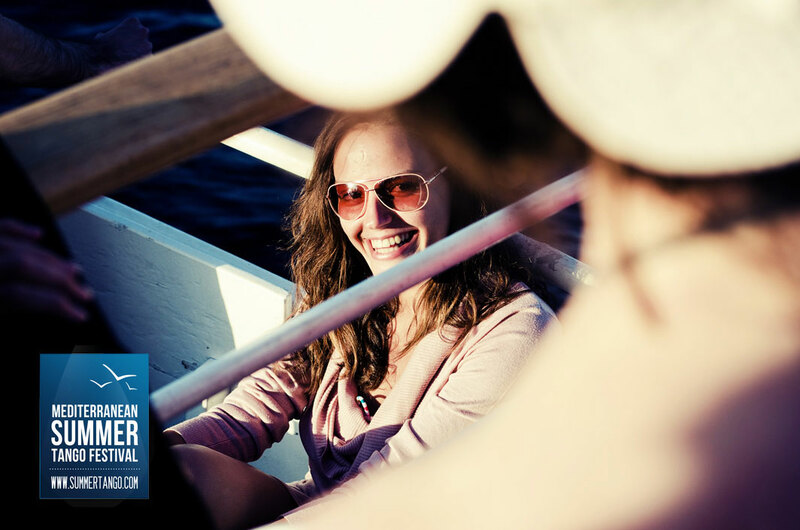 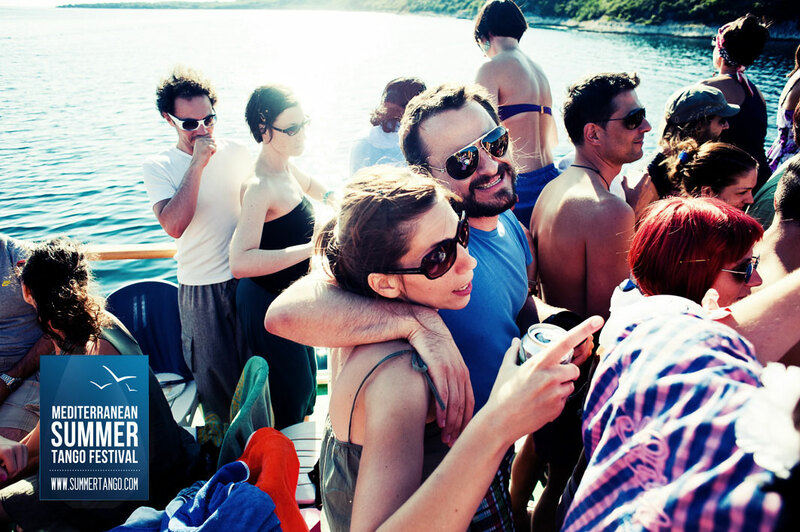 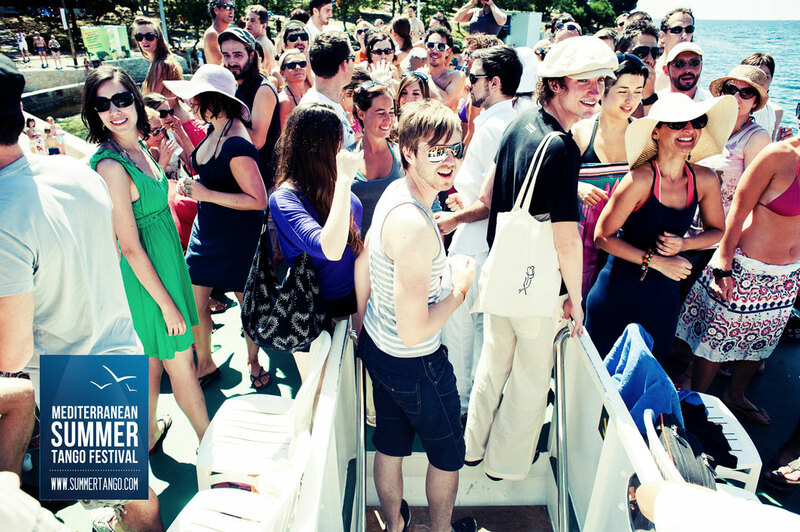 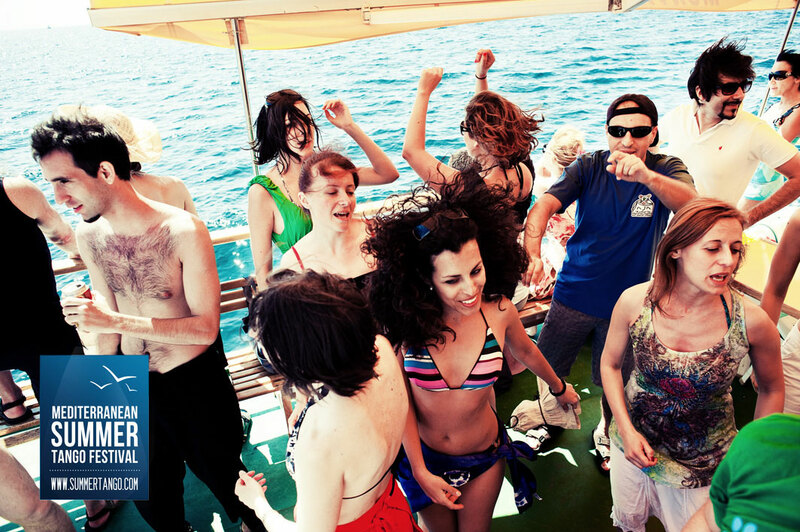 The Boat Trip tickets are sold at the festival registration desk exclusively since the Boat Trip depends on the weather. 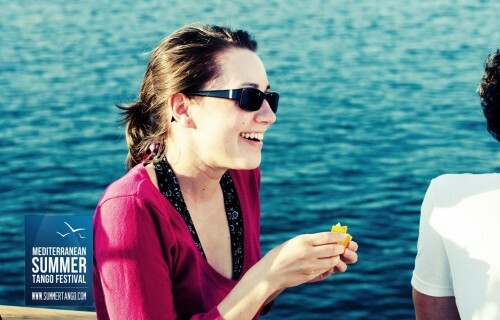 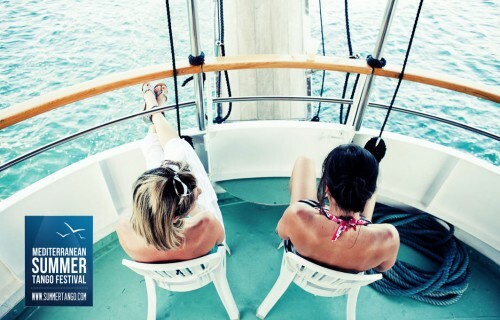 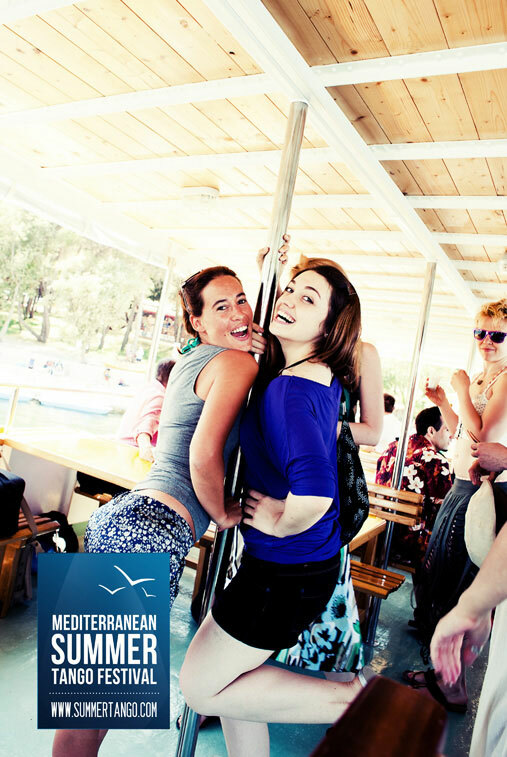 The price of the Boat Trip includes lunch, wine and soft drinks during lunch. 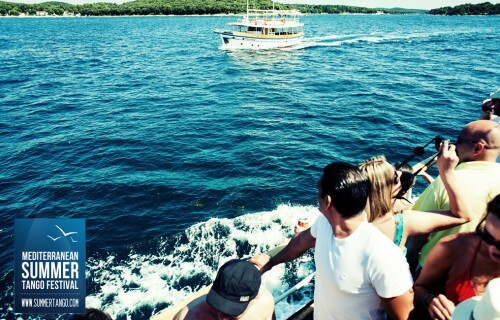 We dock the Boat at the beach just south of the Valamar Diamant Hotel. 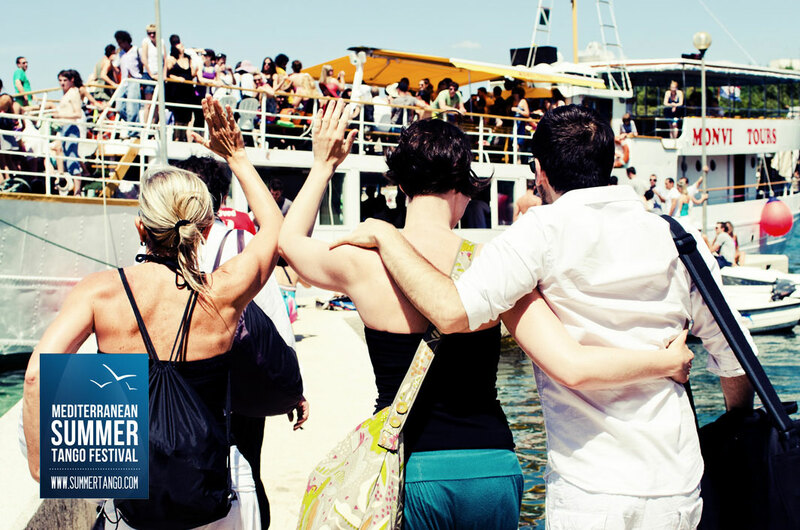 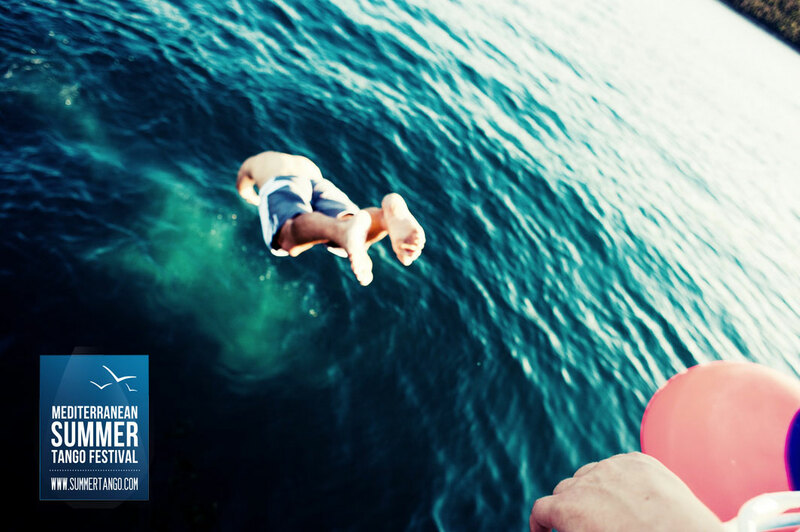 Make sure to bring sunglasses, sunscreen, a bathing suit and a towel. 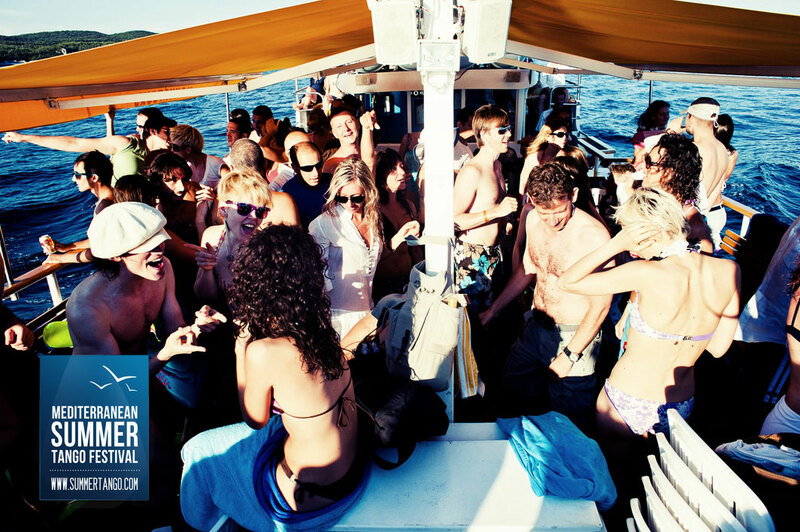 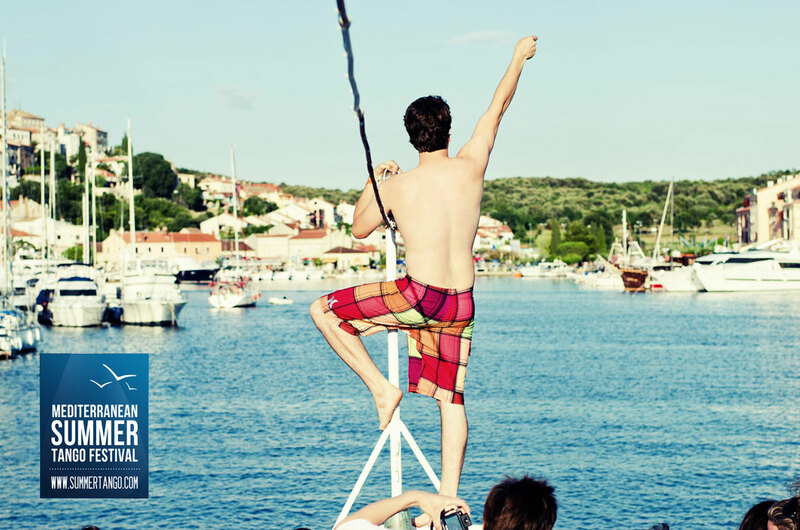 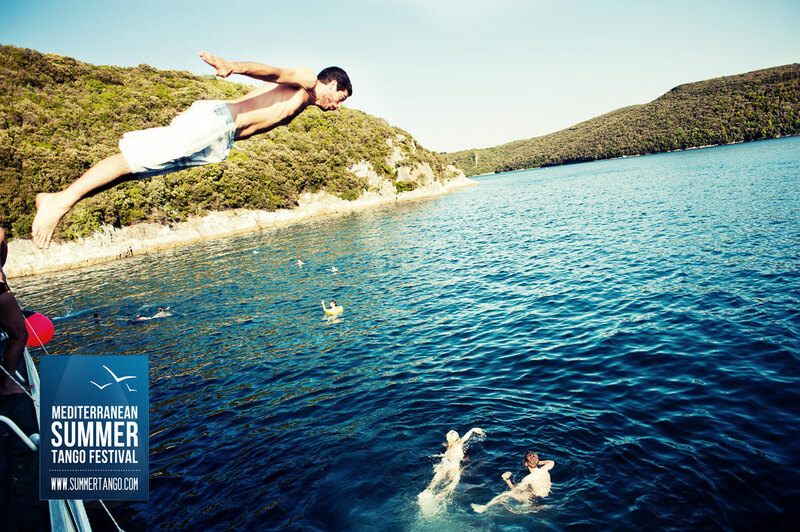 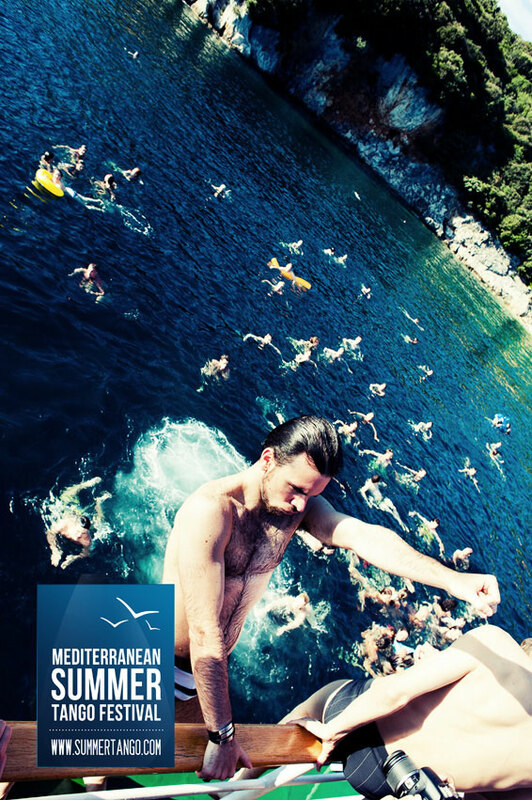 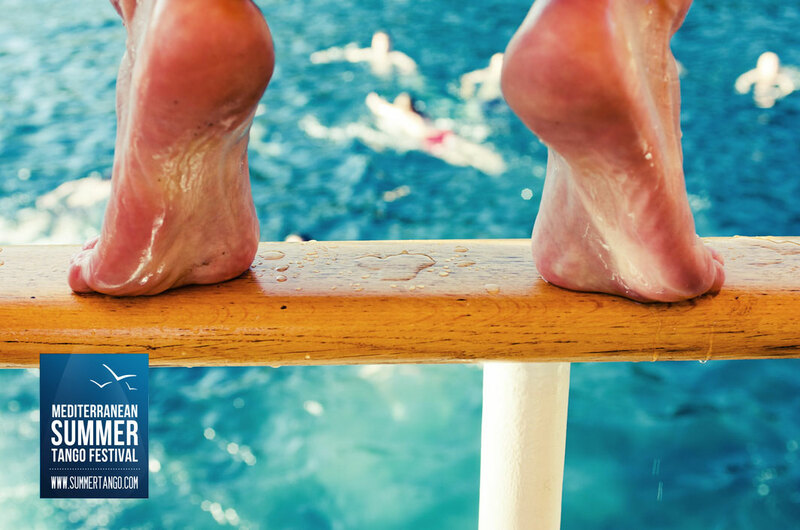 And of course – your Boat Trip Ticket!